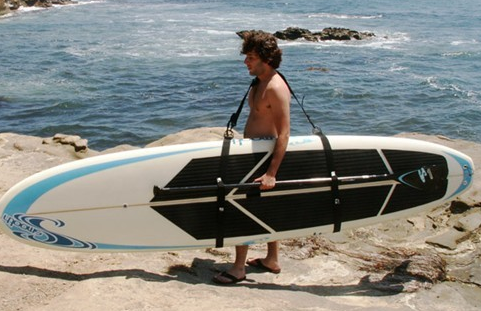 If you're looking for a little help lugging your paddleboard from your house or car to the water, check out our SUP board carriers. We've got 2 different versions to check out here and here, and they each do effectively the same thing. The strap wraps around the underside of your paddleboard and then over your shoulder in a way that gives you the support and strength that you need to be able to easily and effectively maneuver your SUP to the water so you can get on with your next session. 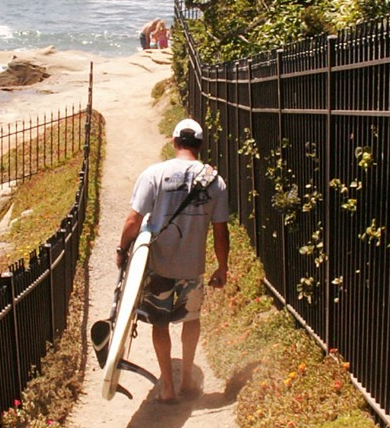 The SUP shoulder straps is great anytime you've got more than a few steps to carry your paddleboard and when the handle in the center of your board just won't get it done. Save your arms for the paddle strokes! 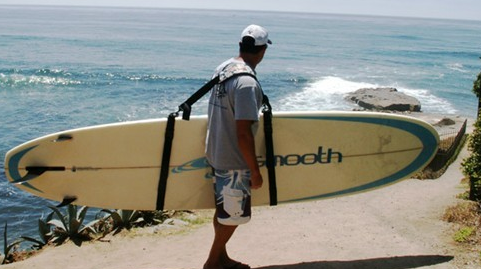 Grab a SUP shoulder strap carrier.